Once again the Big Brands Bash delivered for the crowds who enjoyed the weekend’s MCE British Superbike Championship racing at Brands Hatch. 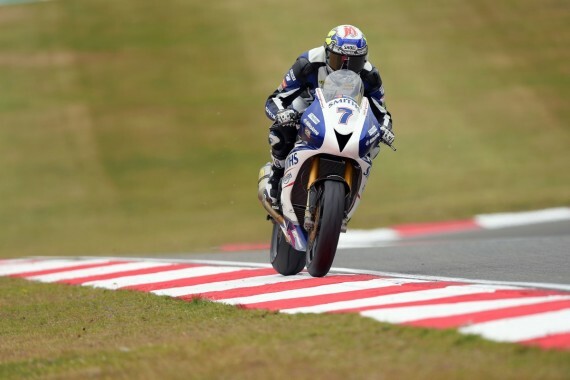 There were thrills and spills were the order of the day in all the races at Brands Hatch, with plenty of entertainment on and off the track to wow the crowds. Championship leader Shane ‘Shakey’ Byrne went into the race weekend, on the back of four straight victories, and it all looked to be going swimmingly when he qualified on pole position on Saturday afternoon. In race one of the day on Sunday he got off to a good start and he and Josh Brookes were battling away for the race lead. Half way through the race Brookes made his move and got past and they looked set for an epic duel for victory. However, it all went a bit wrong for the defending champion as out the back of the GP circuit Shakey came off of his Kawasaki in what looked like quite a crash. His own teammate Stuart Easton came off at the same corner just a few laps earlier. Thankfully for Byrne he wasn’t seriously injured and he could take to the track for race two, where he had pole position as he netted the fastest lap of race one. It is also testament to the PBM Kawasaki team that they could rebuild the bike and get him out on the circuit in such a short space of time. Once again he got away ahead of Brookes and the two pulled away slowly from Richard Cooper and James Ellison. With eight laps on the board Brookes who looked to be bidding his time made his move, he then roared off into the distance highlighting the race pace that he had. Bryne would end up in a fight for second place with the impressive Cooper, but his experience and pace meant he opened up a big enough gap in the last two laps to seal second place. Speaking after an eventful race weekend, Shakey said: “The first race crash was unlucky and all the data showed was that I’d used slightly more rear brake which was enough to unload the front tyre. I went down hard and the boys did a great job in repairing the bike so it was down to me to pay them back in the second race. 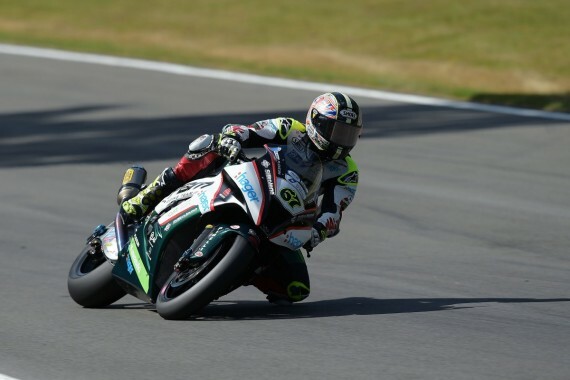 In the British Supersport series Danny Webb had a tough weekend with a mechanical issue forcing him to retire in the sprint race on Saturday afternoon. On Sunday afternoon he lined up on the grid for the feature race, but pulled into the pits after the warm-up lap and took no further part in the race. After having a crash in the sprint race a bruised and battered Jake Dixon took to the grid on his Smiths Triumph, and after a number of battles managed to finish sixth to put a positive spin on the weekend. His cousin Ryan who celebrated his birthday at the weekend, came home in the feature race in eighth place in the Evo class and P18 overall, giving him another good points haul that he can celebrate. The Superstock races were equally entertaining during the day, with Alex Olsen from Cooling taking fifth place in their only race of the weekend. In the Superstock 600s, Ross Twyman in sixth place was the best of the Kent riders, with the returning Bradley Ray just one place behind him. This entry was posted	on Monday, July 20th, 2015 at 9:00 am	and is filed under Featured, Motor Racing. You can follow any responses to this entry through the RSS 2.0 feed. Both comments and pings are currently closed.